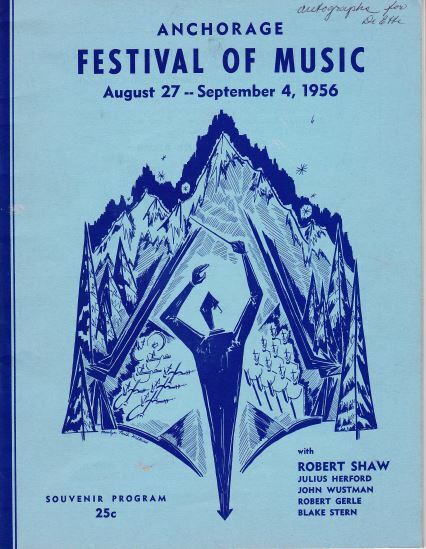 In 1986, the Alaska Festival of Music consolidated with the Basically Bach Festival, founded in 1978 by Elvera Voth, and together they re-established the original name of Anchorage Festival of Music. Throughout its history, the Anchorage Festival of Music has provided opportunities for blending the finest local musicians with visiting national and international guest artists. Both local and guest soloists have been featured in chamber recitals, orchestral and choral/orchestral concerts. The Anchorage Festival of Music is a non-profit community organization. In the past it has been supported in part by grants from the National Endowment for the Arts, the Alaska State Council on the Arts, and the Municipality of Anchorage Arts Advisory Commission. Current support is provided by grants from the Atwood, Getty and Carr Foundations, by major contributions from corporations as well as generous contributions of time and financial support from many individuals and businesses. Music is essential to the aesthetic, intellectual and spiritual development of individuals and their community, and should be made available to people of diverse ages, abilities, and means. Therefore, the Anchorage Festival of Music is dedicated to uniting the talents of local and guest artists to create and share the rich beauty of classical and contemporary music through a program of music education and performances.